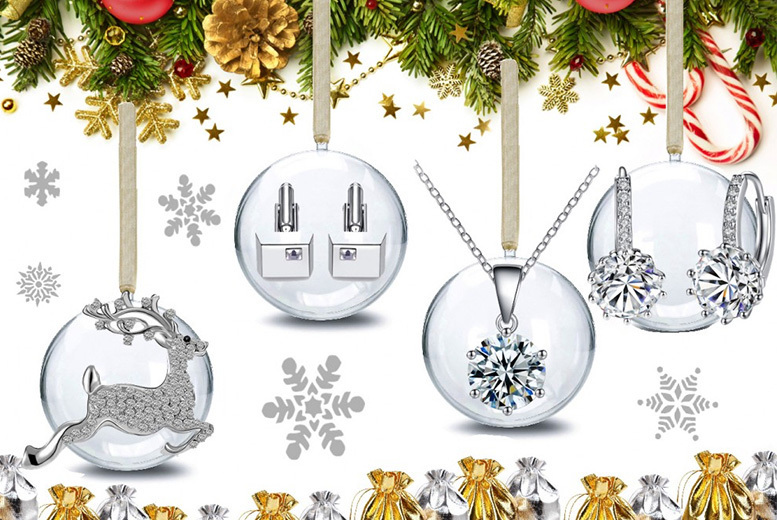 Celebrate the season with a Christmas bauble set. Made with crystals from Swarowski®! Four baubles with gifts including a brooch, earrings, pendant and cufflinks encased within. Rhodium-plated for a shiny finish. Perfect for adding a glitzy, festive touch to your home!